Recreate scenes from Doctor Who with these detailed fully articulated 3.75 inch action figures! 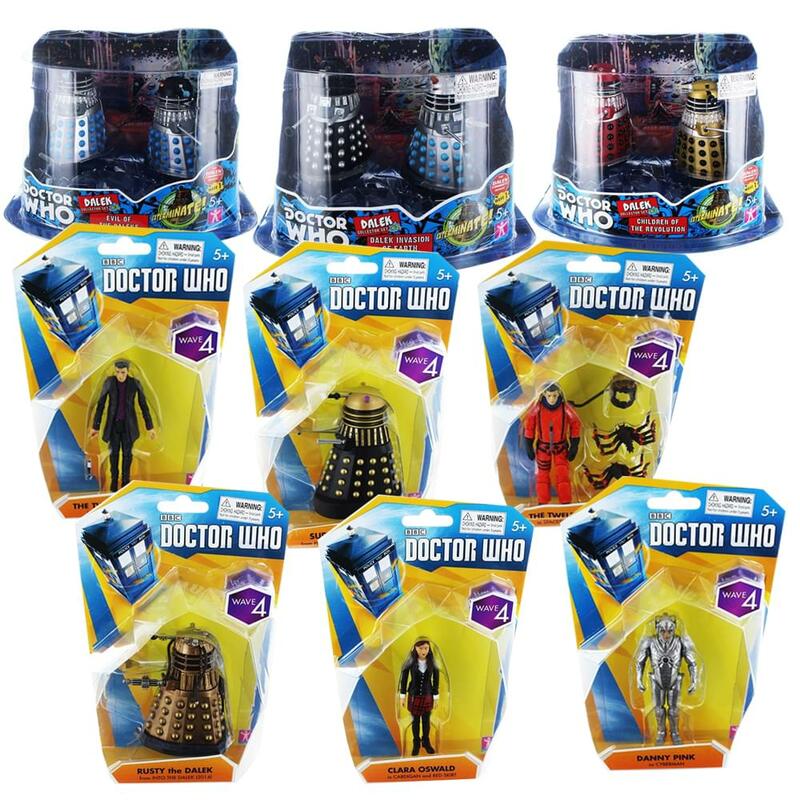 These awesome bundle includes: 1x 12th Doctor in spacesuit w/ space germs; 1x 12th Doctor in purple shirt/jacket; 1x Clara Oswald in cardigan/red skirt; 1x Danny Pink as Cyberman; 1x Supreme Dalek as seen on the Doctor Who episode "Planet of the Daleks"; 1x Rusty the Dalek as seen on the Doctor Who episode "Into The Dalek"; 1x set of 2 Dalek Set #1: ''Children of the Revolution''; 1x set of 2 Dalek Set #2: ''Dalek Invasion of Earth''; and 1x set of 2 Dalek Set #3: ''Evil of the Daleks''. Perfect gift for the ultimate Doctor Who fan! Officially licensed Doctor Who action figures.